Blended Learning, Change Management, e-contents, consultancy, on line training, Learning Platform, Instructional Design, Needs Assesment, Talent & Performance Management, skill shortage. 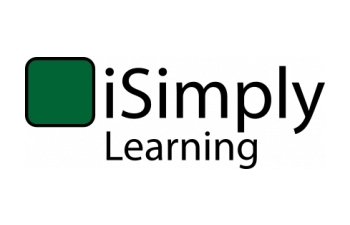 iSimply Learning (www.isimply.it) was born in 2007 from a team of professionals with high experience in the field of consultancy / training and skills in the ICT world with the aim of providing public and private organizations mainly in the context of blended learning solutions, accompanying organizations in the development of the heritage of competencies necessary to address the projects for change induced by the technological, organizational and business. Today the two strands of expertise are channeled both iSimply using their combined experience, expertise and manufacturing. A mix of experience on the ground in projects and services for complex organizations, both public and private. iSimply is such a strong and reliable partner to accompany organizations and companies in the development of projects in which the innovation character is strong and the technological components are essential and typically integrated seamlessly in the service delivery chain. We believe that to manage innovation processes or to introduce new systems, new production processes and service delivery in organizations is essential a careful change management from various points of view. Overcome the natural hostility of the people to change is not trivial and often threatens to undermine from within the best of technological innovation projects, organizational and / or social. Among the various aspects to cure the chief among them it is certainly the cultural aspect but we believe that these evolutionary processes can be beneficial when accompanied by correct use of information technology, information and communication. This is why we call ourselves iSimply: simplicity and innovation.